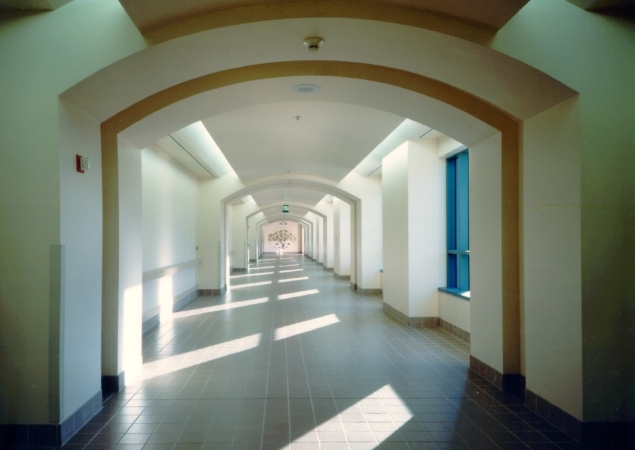 Two new rehabilitation hospitals were designed as part of the first phase of a 212 acre Master Plan developed by RBB. The Jacquelin Perry Institute (shown left) is a 234,000 SF, 3-story spinal injury rehabilitation facility with extensive research laboratories on the basement level. 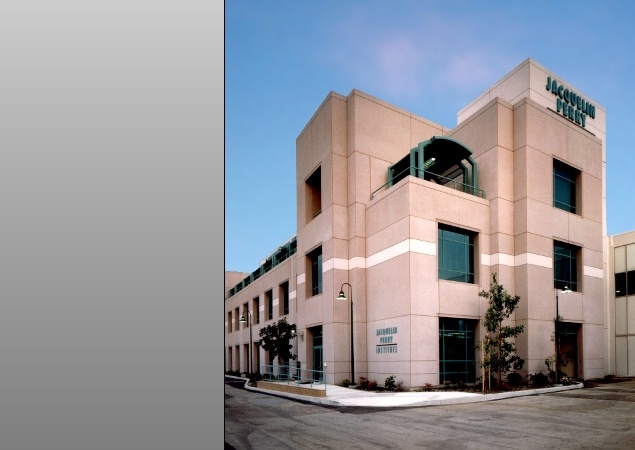 The building was designed to reflect historic buildings on the campus and to evoke the architectural tradition of Rancho Los Amigos, including Spanish arches and a bell tower. The exterior features reflective green glass, and precast panels were utilized for ease of maintenance. A metal trellis and covered walkway connects the Perry Institute to "Building B," the second rehabilitation facility, and will be a continuing design element throughout the campus. Rooftop gardens as well as interior and exterior courtyard spaces also highlight the surrounding area.